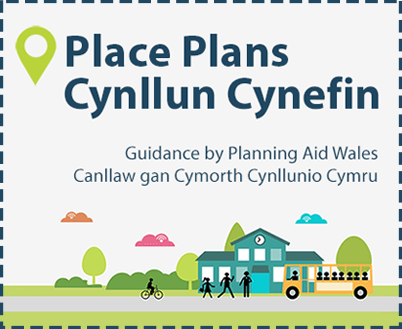 Planning Aid Wales has produced a range of guidance booklets on specific aspects of the planning system. The guidance booklets are available for you to download from this website at no cost. ‘Making your case at planning committee’ is full of useful tips on how to prepare and present your case at planning committee meetings. Or use our Publications Order Form to order a paper copy. ‘A public guide to the land use planning system in Wales’ explains in plain language how the main parts of the planning system work. It also gives advice on the best ways to present public views and opinions to planning decision makers. ‘A Community and Town Councillors handbook: The land use planning system in Wales‘is designed specifically for Community and Town Councillors in Wales. It acts as a reference guide to the development control and local development plan processes. ‘What to do when faced with a planning application in Wales‘provides information on how to find out about planning applications, and how to make effective and relevant consultation responses to the local planning authority. The booklet is designed for people who want to support or object to a planning application in their area. ‘A guide to planning enforcement in Wales’ gives an overview of enforcement practices and procedures in Wales. 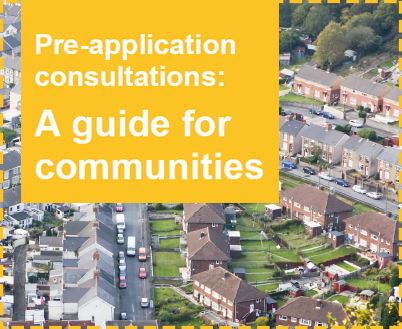 It also advises on how to prepare for an enforcement appeal.The booklet is designed for people who want to appeal against enforcement action being taken by the local planning authority, and people who are concerned about a development that may not have the necessary planning permissions in place. ‘Seeing the light: Planning and rights to light in Wales‘provides an overview of the issues to do with light and overshadowing in the planning process in Wales.The booklet is designed for those people who are concerned that a new development proposal will have an unacceptable ‘overshadowing’ effect on their property, and for developers who want to make sure that their building will not lead to an unacceptable loss of light to neighbouring properties. The Welsh Assembly Government has published this booklet, which has been prepared by Planning Aid Wales. It explains in plain language the rules and procedures for establishing new Gypsy and Traveller sites. It also gives information about the rights of people who live on a site without planning permission. And there are hints where to go for further help and information. The illustrations have been produced by students of the Monkton Priory Project in Pembrokeshire.